Former Prime Minister Nobusuke Kishi set a two-year timeline to revise a postwar security treaty with the United States as a precursor to an amendment of Japan's pacifist Constitution, according to diplomatic records declassified Wednesday. In coming up with the strategy, Kishi, an arch-conservative and current Prime Minister Shinzo Abe's grandfather, was preparing for his first visit to the United States as Japan's leader in 1957 when he envisioned putting his plan into action. 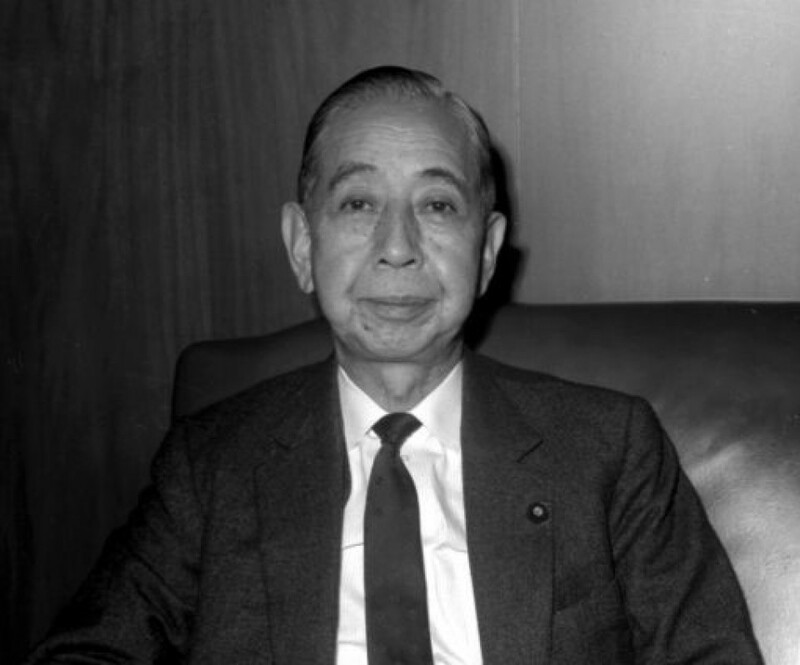 Kishi's idea was to seek a revision to the security treaty which was widely seen across the political spectrum in Japan at the time as putting the country in a subservient position. He apparently believed that putting his ultimate focus on constitutional reform would push Washington to renegotiate the security treaty, giving Japan the chance to deepen defense cooperation with the United States through a revision of the supreme law. The diplomatic records give a glimpse into the strategy of Kishi who, like his grandson Abe, was known to be eager to revise the war-renouncing Constitution. The Constitution remains unchanged since taking effect in 1947. Abe is now looking to finish what his grandfather started with his quest to make a first-ever constitutional amendment while bolstering the security alliance with the United States. Kishi, who served as prime minister between 1957 and 1960, took issue with the United States security treaty and occupation of Ogasawara and other islands after Japan's surrender in World War II. The records show Kishi's plan was incorporated in a confidential document created before his visit to the United States in June 1957 and its rough content was shared with then U.S. Ambassador to Japan Douglas MacArthur, who held a series of meetings with the Japanese leader before his trip. A declassified document titled "the determination of the Japanese government regarding Japan-U.S. cooperation" states that bilateral relations "are not in an appropriate state for their further strengthening and development." Referring to elections in lower and upper houses of parliament held eventually in 1958 and 1959, respectively, Kishi said in the document he hoped to settle issues such as revising the security treaty before going to the polls. "Under such circumstances, the two-thirds majority can be secured in both houses of the Diet (necessary to initiate an amendment) and a specific schedule can be set for a revision to the Constitution," the document said. The proposal would then have needed to be approved by a majority of voters in a national referendum, as is still the case. In the postwar era, Japan has relied heavily on its defense alliance with the United States. However, the initial 1951 security treaty allowed U.S. troops to be stationed in Japan but did not oblige them to come to its defense. The diplomatic records also reveal the government weighed a push for the constitutional amendment five years after finalizing the envisaged revision of the security treaty, enabling the country's Self-Defense Forces to be dispatched overseas. Kishi's vision was conveyed to MacArthur in the seventh meeting on May 11 but met with a negative response from the U.S. ambassador in the next meeting on May 15. The idea was reported to Washington in late May, the diplomatic records showed. After meeting Kishi, U.S. President Dwight Eisenhower reaffirmed the U.S. stance that Japan had residual sovereignty over the Ogasawara and Okinawa islands in a joint statement. Japan and the United States did revise the security treaty in January 1960, but Kishi failed to amend the Constitution and conclude a mutual defense treaty. Control of the Ogasawara islands reverted to Japan in 1968 and Okinawa in 1972.